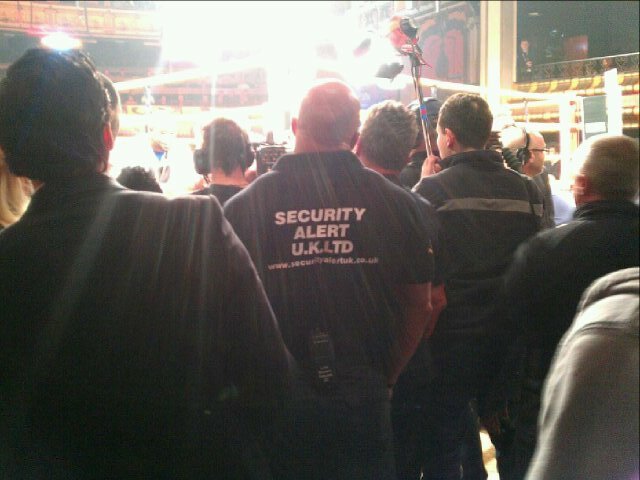 Security Alert is a Midlands based company in Derby which formed in 1997. We are a privately owned British security and risk Management Company with substantial experience within the security industry. Security Alert has grown from its humble beginnings to be a national focused organisation, offering specialist, professional, security services from basic Key Holding duties to large multi-manned events. As well as Manned Guards we are also able to provide Security Dog Units, and Close Protection. We offer comprehensive advice on every aspect of security and our clients benefit from the extensive capabilities of our Security Guard personnel, and their wide breadth of knowledge and experience of all aspects of the security industry. You can be confident that Security Alert will provide you with a confidential and professional service at all times. 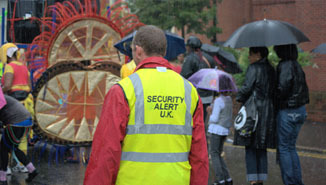 Security Alert offer practical experience and the highest quality specialist security advice. We also offer risk management solutions that take account of the specific requirements of each client. Our client base covers all sectors of commerce, manufacturing sites, academic establishments, leisure facilities (SKY and BBC TV) and construction sites for both the private sector and local authorities. Please visit our Facbook page by clicking here. Our security services include all of the below.